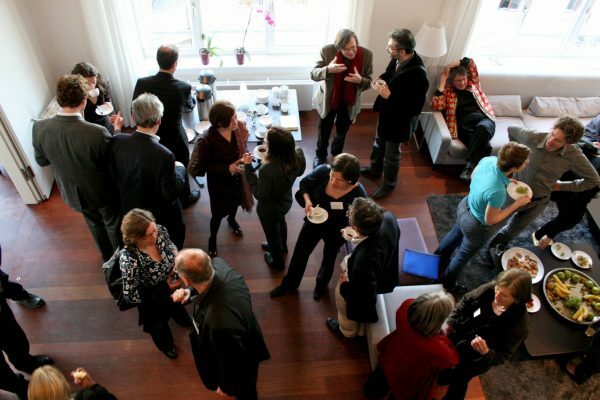 The ICI Berlin seeks to forge cooperative links with a wide array of cultural and research centres in Berlin and beyond, and hence many of its events are cooperations with academic foundations, university research groups, or Berlin’s many cultural institutions. Under certain conditions the Institute also gives support to projects initiated and developed by cooperation partners. The programme committee decides upon requests for cooperation and support at its own discretion, taking into consideration legal requirements for non-profit organizations, as well as the Institute’s financial resources. There is no legal claim to receiving support from the ICI Berlin and no reasons need to be given for the Institute’s decision. Applications should reach the Institute at least three months before the planned event. The ICI Berlin makes decisions on a monthly basis, usually at the end of each calendar month, and needs at least three weeks to process applications. Applications completed after the first week of a calendar month will be considered in the subsequent month. Please send your application to info@ici-berlin.org. The ICI Berlin gives support only to projects that fit its research interests and take place on its premises during its academic terms. As a rule, the ICI Berlin offers support only in the form of non-cash benefits, but not by covering, for instance, travel expenses, accommodation costs, or honoraria. The ICI Berlin has a workshop space for up to 30 and a conference hall for up to 120 participants. These spaces can be made available at a preferential rate of 1,400 EUR per day (plus tax, cleaning, and, if required, a fee for the use of technical equipment). In addition, the ICI Berlin usually helps with the publicity for the event (through its website and newsletter) and participates in the on-site logistical preparation. If the event closely relates to the Institute’s research interests, the ICI Berlin might contribute to the rental expenses.